The idea was not just to push sales numbers when Sistema Shyam Teleservices, which offers cellular services under the MTS brand, engaged Creativeland Asia to conceptualise its latest campaign -- MTS Internet baby. Though, within four weeks of the TVC’s launch, sales of its MBlaze dongles have increased by more than 10 per cent. Designed to enhance awareness about its dongles offering its 3GPLUS network, the Russian conglomerate-backed cellular services company launched the campaign with a tag-line -- ‘Born for the internet’ -- in the first week of March. 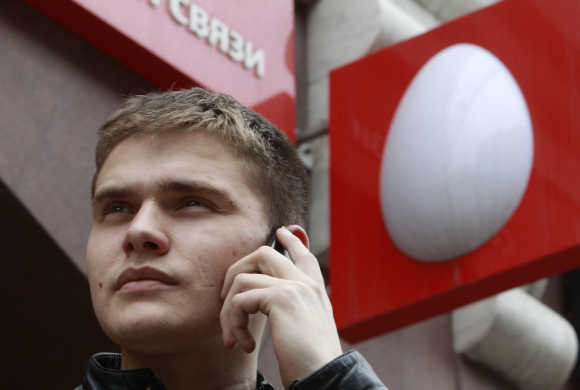 Image: A man speaks on a mobile phone near an office of Russia's mobile phone operator MTS in Moscow. A baby, right after birth, grabs a nurse’s phone in the labour room to find out how to cut the umbilical cord, takes a selfie, posts it on social networks and even uses GPS to navigate out of the hospital in the TVC. On the Internet, the video has received about 3 million views on Youtube within a week of its debut, that has now notched up more than 7 million to date. The statistics make it one of the most popular Indian telecom campaigns after Vodafone’s Zoozoos burst onto the scene. Other advertisements, which have gone viral on the Internet in the past one year, include Google India’s ‘Reunion’ that received more than 11 million views on Youtube in the first six-seven weeks. Image: New MTS ad that is going viral. 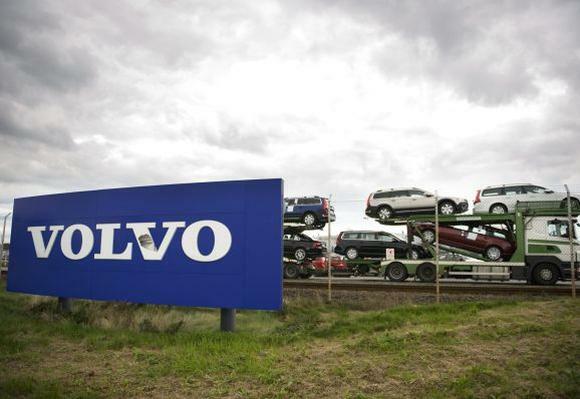 Volvo Truck’s Jean Claude Van Damme split-feat campaign received more than 66 million views on Youtube during the first 6-7 weeks globally. According to reports, just about 15 per cent of advertisements go viral on the Internet every year. “It certainly grabbed attention of the consumers, especially in the digital space. “But, it also puts off a certain section of the consumers. “Such a campaign is good for awareness development, but not for a good business proposition in the long term. “The company should not come out with such campaigns often, and should run it for a limited period of time,” says brand strategy expert Harish Bijoor, CEO of Harish Bijoor Consults. Image: Volvo Truck's Jean Claude Van Damme split-feat campaign received more than 66 million views on Youtube during the first 6-7 weeks globally. The TVC has been produced by Smuggler films and directed by Guy Shelmerdine. The film shot in Prague, had cast four real babies to provide the expressions, lighting and skin texture of the animated baby. “The campaign has managed to break the clutter and start conversations both online and offline. 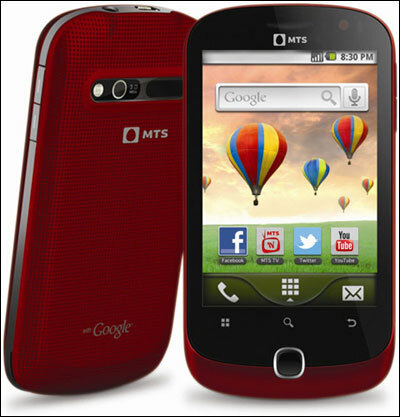 “We have had calls coming in from telecom analysts, NGO partners and even competition appreciating the creative thought and appeal of MTS Internet Baby,” says Amitesh Rao, director -- brand and media, MTS India. The new-born baby, familiar with technology and exploting the Internet right from birth, is meant to convey the how MTS’ Internet services are just right for today’s digital natives for whom the Internet is a way of life. 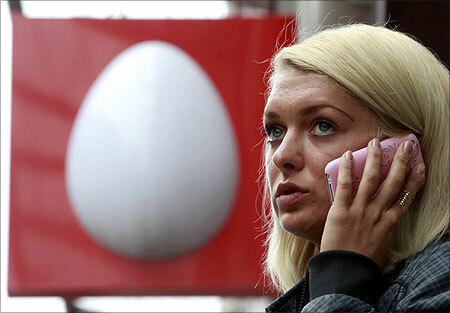 Image: A woman speaks on the phone near an office of Russia's mobile phone operator MTS. “The script began with the simple insight that today’s kids seem so comfortable with technology, devices and the Internet even as babies. “When I see them (including my own daughter) handle tablets, mobiles and laptops, I have always joked that they look like they were born with it. We just pushed that thought a little further. “It took six months of painful labour. And the baby is finally out there,” says Sajan Raj Kurup, founder and creative chairman, Creativeland Asia. What helped the virality of the video on the web, MTS says, were its employees sharing the commercial on their personal social networks. Prior to the launch of the campaign, it had a special screening for over 2,000 employees in India.